The mammalian heart has historically been considered to be a static, non-regenerative organ. 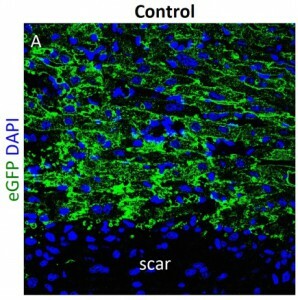 New research has led to exciting insights into the capacity of the mammalian heart to regenerate in the face of injury. Current evidence suggests that the reparative process may involve cellular transdifferentiation and dedifferentiation, suggesting unexpected cellular plasticity. Re-activation of developmental programs also holds promise for regeneration and reprogramming as possible mechanisms for regeneration and repair. 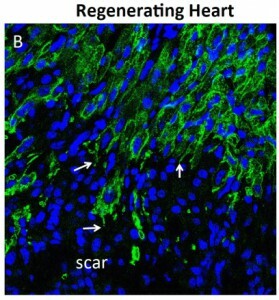 Additionally, exciting advances in bioengineering have established that scaffolds, patches, and other bioengineered materials can be leveraged to induce or improve endogenous repair mechanisms and improve outcomes in damaged myocardium. 5) incorporation of biomaterials to accelerate and improve cardiac repair and tissue engineering. 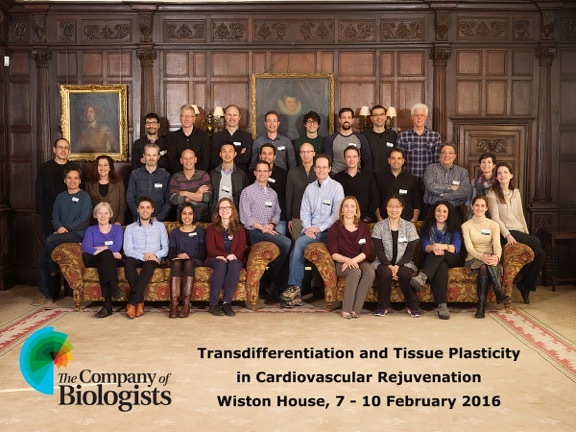 This workshop will bring together experts in heart development, regeneration and bioengineering. This proposed conference aims to provide insight into heart regeneration, develop new directions for investigation and forge new collaborations and interactions across multiple disciplines. Sufficient time for discussion and informal interactions will be provided. Apex resection was performed on control (A) and Hippo mutant (B) hearts at non-regenerative stages. Hearts were collected four days after resection and immunohistochemistry against GFP (marks heart muscle) was performed. Arrows show cytoskeletal changes in regenerating heart muscle. Image courtesy of Yuka Morikawa.